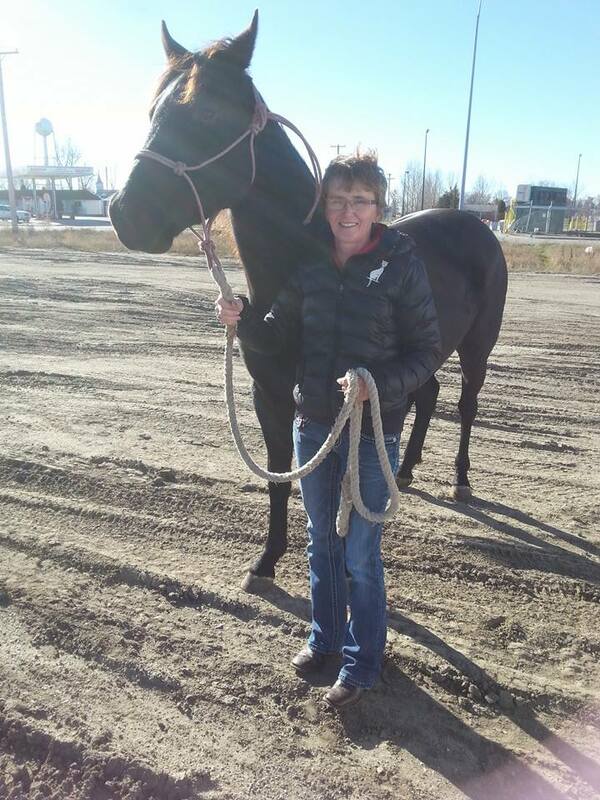 We pride ourselves in great breeding, early and friendly training beginnings and sound horses. Take a look at our horses for sale, give us a call for more information and plan a visit to see them in action. Contact Darcy at 701-720-0995 or email sandstrom (at) srt.com to set up a time to come take a look! 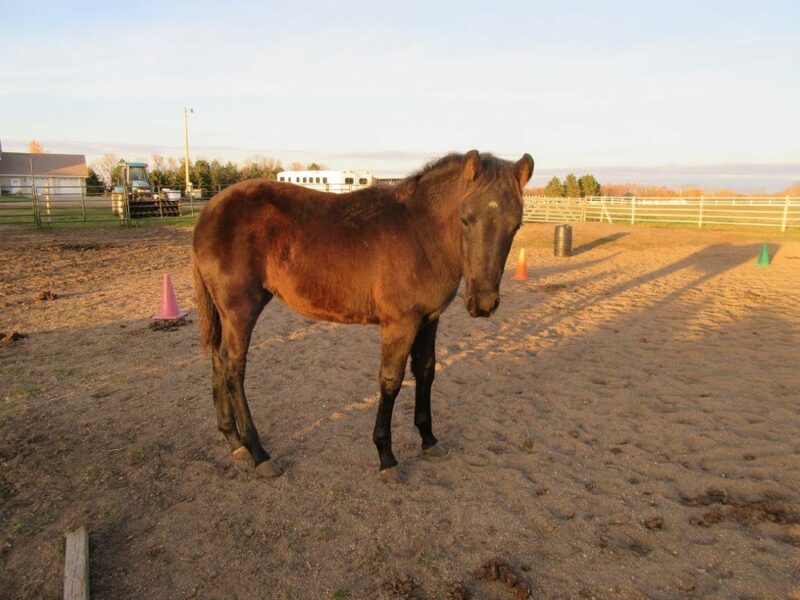 Come see how he moves in the pasture. He’ll be the first one to greet you at the gate! Easy to handle, no surprises here! View her sire, Prince of Peace. 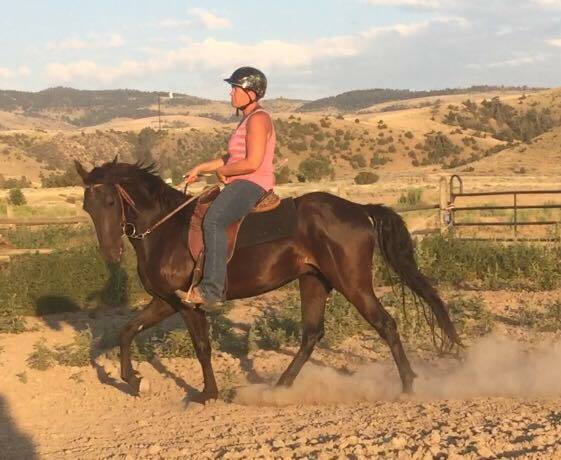 Find this beautiful, BLACK GELDING, Dakota Duke in Wyoming riding with his new partners! 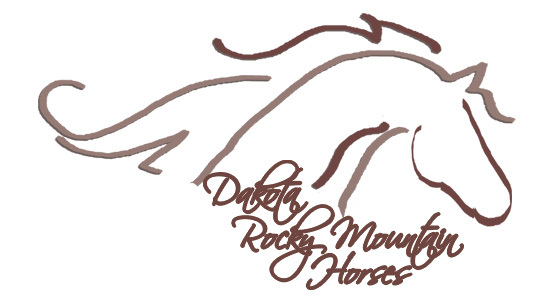 Shows his friendly and playful side along with all Rocky Mountain breed characteristics in and around the pastures. Blood lines go back to Squirrel Too. 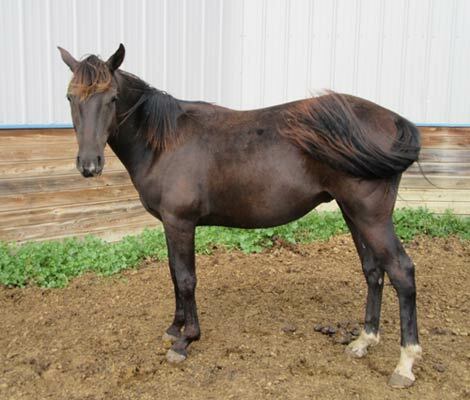 This is a great gelding to get started that will take you down the trail or anywhere you want to go. 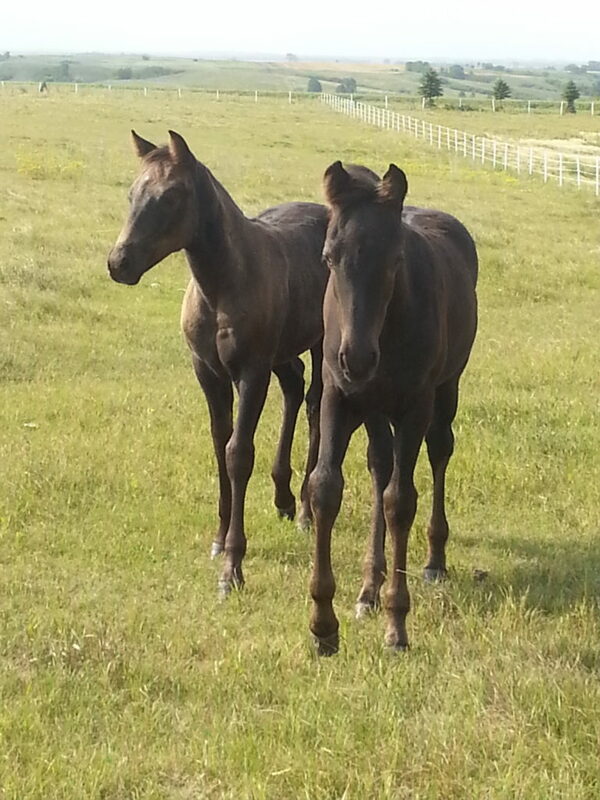 His full siblings are working well on ranches and hobby farms from Montana to Canada. 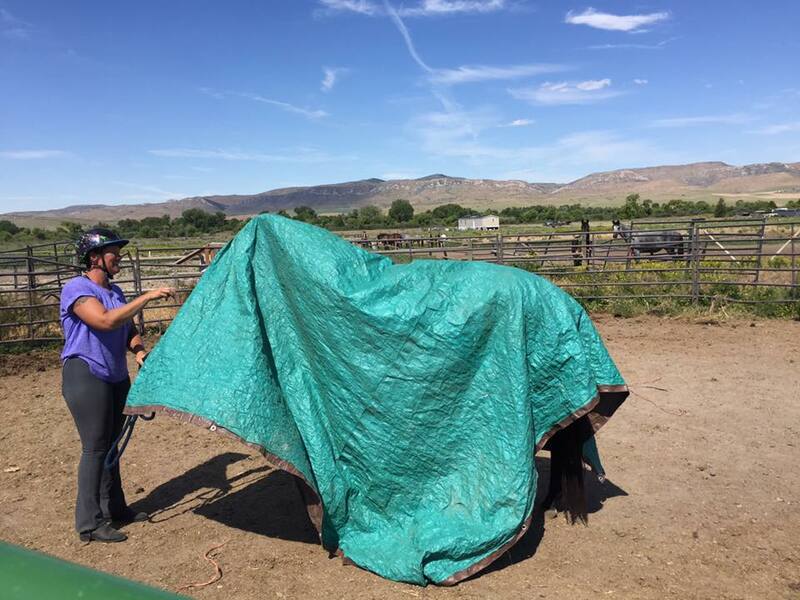 Started under saddle with natural horsemanship methods. She’s calm, easy to handle, willing to please, and looking for a forever home. $4,500 Sired by MMR Prince of Peace who is out of Squirrel Too. 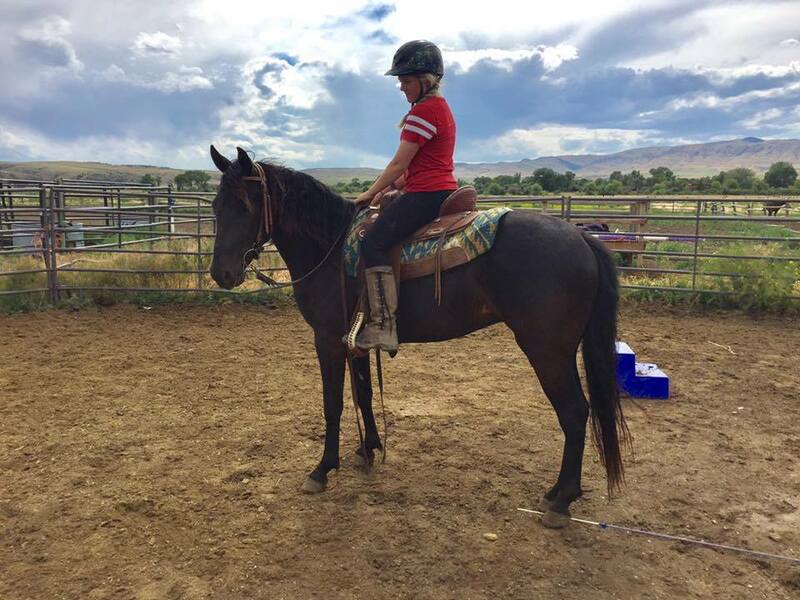 Liberty is living the life in Circle, Montana getting in some great leisure riding. Independent from birth, a great opportunity to own foundation bloodlines .. sire-goes back to Maple Squirrel to Old Tobe, and Dam also goes back to Tobe. This filly has some height to her. She’s friendly, inquisitive and loves her scratches. You’ll notice her beautiful head and correct confirmation. She’s ready to be your next forever partner and then mature into your breeding program. Handled with gentle Natural Horsemanship. She’s fun to watch her show her gait out in the pasture. View her sire, Prince of Peace. Great disposition and outstanding pedigree. What more could you ask for?